To my Pakistan SharePointers fans.. I will be speaking in SharePoint Saturday in Lahore on 10 May 2014. I am really so happy to be speaking in Lahore, not to mention it may be over Skype still not sure, but I am trying to make to Lahore. – We already have over 6000 registered attendees from over 100 countries around the globe. – The conference has an enormous 100+ sessions covering both business and technical. – It’s completely FREE for all attendees. – The platform has been developed entirely using SharePoint Foundation 2013 hosted by Fpweb.net. 2. 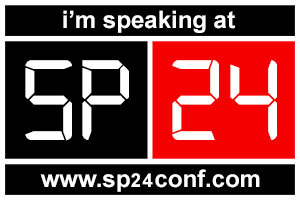 Head on over to https://www.sp24conf.com/2014-1/Conf/ and select the sessions you want to see using the “Session Planner”. We would love it if you updated your profile picture to use on the site. And don’t forget to fill in your feedback forms (you will see those during the sessions in the session resources tab. What can I do at SP24? – The site uses some fairly new (and cool technology) so please ensure you use IE9+, Firefox 28+ and Chrome 34+ This will give you the best experience. Unfortunately we cannot guarantee the site will behave on mobiles or apple/android tablets. That’s all folks, we really hope to see you VERY SOON at SP24! Yes April 2013 CU has been postponed and because of the issue in SP1 which has been pulled in. Lots of FAQ on Stefan Gobner blog http://blogs.technet.com/b/stefan_gossner/archive/2014/04/10/sharepoint-2013-sp1-and-april-cu-status.aspx a must read before you for any more updates. If you come and ask me, what if we are closing a project and whatsoever updates fixes a bug!! How would we wait?? .. I really have the same question but my answer may not be suitable for all cases.. I’d recommend to support the project as should be then install the update once you are sure it is ok. Description: A new workflow engine is added to SharePoint 2013 and there are many steps to get it installed correctly properly you won’t from the first time, in this session, we will get it right. BTW I am not going Boston, my session is over Skype.